Wedding destinations are just IN for brides and grooms this 2019. 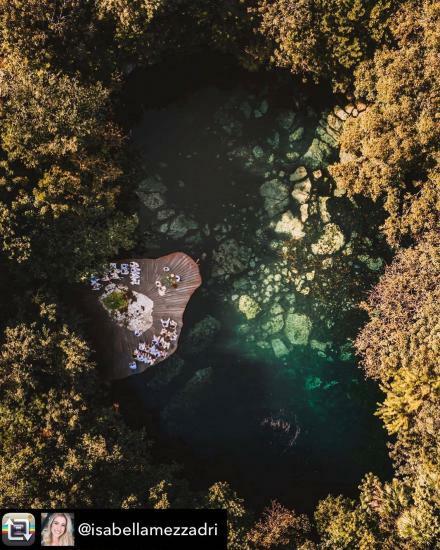 And many specialists agree that without doubt, Mexico has become one of the wedding destinations where celebrities, experts and most couples just love to get married. The wedding industry has grown significantly and nowadays is quite easier to find the best place to get married in Mexico. 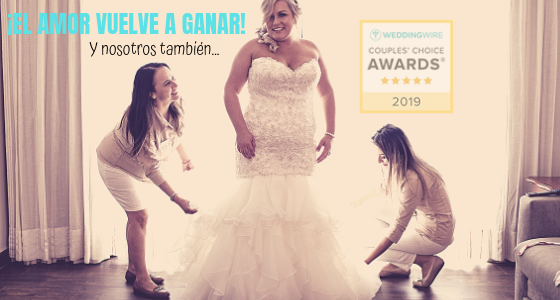 Every year, the site WeddingWire.com recognizes those destinations, services, and companies that grooms and brides rate as excellent during the planning and coordination of their weddings, so we are highly proud to tell you that this year the 4 Sandos hotels in Mexico excelled at the Wedding Wire Couples’ Choice Awards 2019. If you are thinking about getting married in any Mexican destination, WeddingWire is the perfect reference you need to make the right choice in order to have the best day of your life, of course at Sandos Hotels & Resorts. Let’s get to know our wedding destinations a bit better. This adults oriented hotel offers a perfect balance between party and relaxation. The stunning views of Cancun are moved to your room, restaurant or ballroom, and of course, also to your wedding location. This means Wedding Wire and our guests have awarded this hotel, primarily because of its romantic setups, exquisite food and the perfect ambiance for your bridesmaids, best man, families and other friends; and secondly for the great service of Valeria Sastré while coordinating the happiest day for the newlyweds. Everyone agrees, the pristine waters found at the Playacar area in Playa del Carmen are flawless. With a huge and plain sand field, this scenery is the one chosen by 80% of the couples getting married at this hotel. The other 20% prefer the garden set up, and once you get a chance to look at it, it will be quite hard not to fall for it. 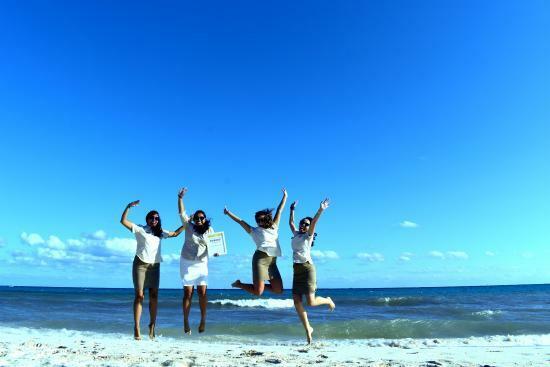 But the main reason why people are choosing this hotel for their wedding it’s because of four beautiful elements called: Ruth, Diana, Monse, and Brenda. 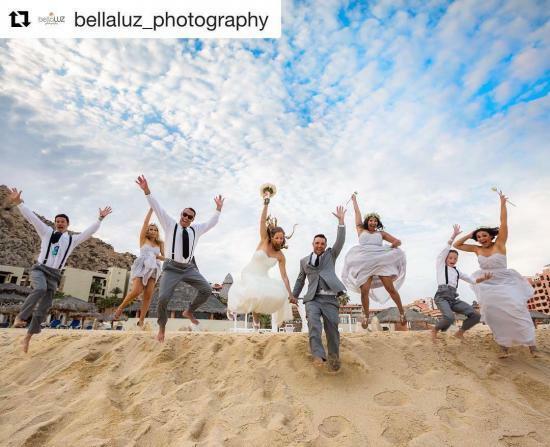 We are pretty sure they are the most charismatic wedding coordinators you’ll find in any other resort in the Playacar are , in fact, they love sharing their personal experiences with the newlyweds on Instagram, have a look for yourself. Wedding Wire has recognized them with this award since 2016, confirming their expertise in wedding planning. Every place mentioned before has a notable beach, landscapes, food, and professionalism, that’s why they were among the top places to get married at Wedding Wire, however, Sandos Caracol goes a step further with a simple and yet valuable detail: the color of nature. Each couple is different, and the happiest day of their lives should be just what they want, full of moments that make them feel completely happy. 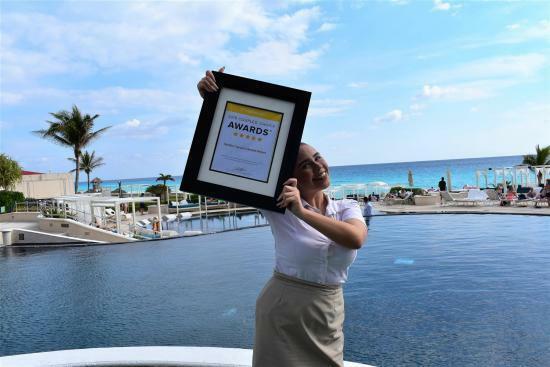 This year, Sandos Caracol earned (again!) 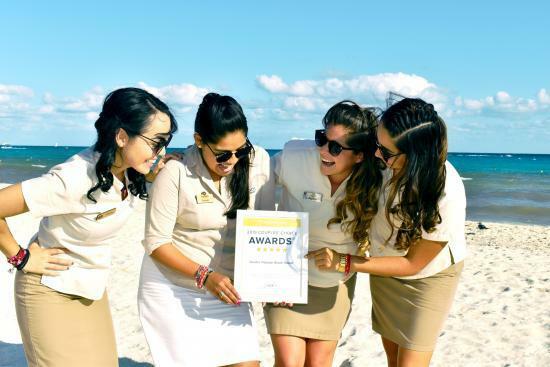 the WeddingWire award thanks to wedding coordinators Kiani, Georgina, and Ana Caren. 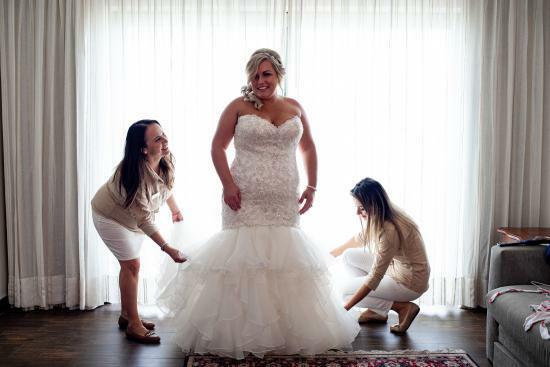 It is thanks to them, every bride and groom can experience the best day of their lives at this beautiful eco resort. 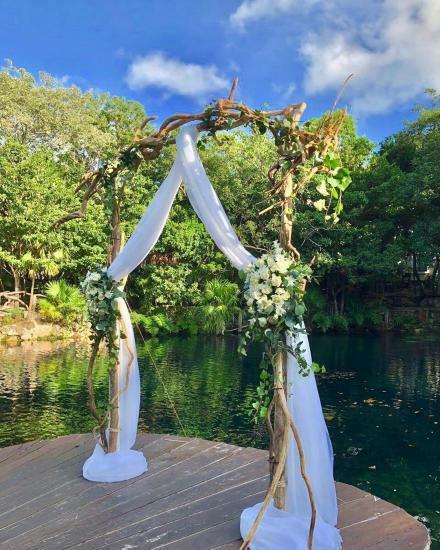 Sandos Caracol offers weddings on the beach, on a terrace and in a cenote! Explore the green and natural settings for yourself here. We could not skip another amazing beach wedding destination, it is called Los Cabos and of course, you will love it. It’s all about waves, mountains, stunning views and weather (mostly with no rain), is it is safe to say weddings here are a dream come true. 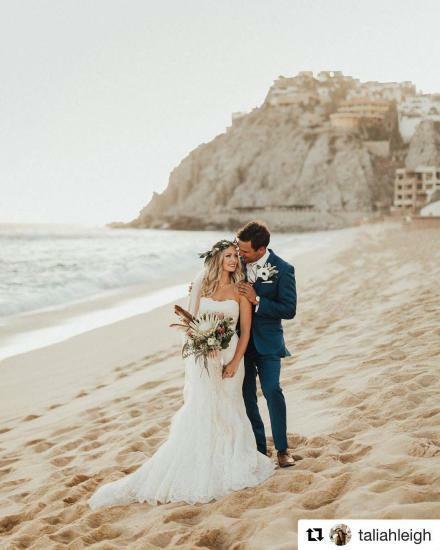 For the stunning views (awarded in several occasions), the delicious food and the impecable service they provide, Sandos Finisterra is without question, the perfect choice to get married in Los Cabos this 2019. 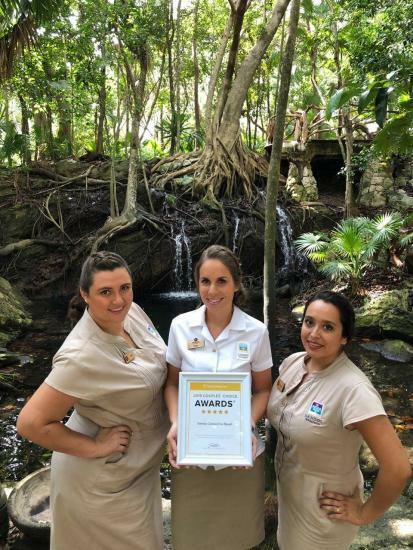 Wedding Wire has awarded Sandos Finisterra for 4 years in a row; mostly because Valeria and Lupita are always making sure every couple celebrating their wedding at this resort, returns home with a smile on their face. A picture is worth a thousand words, so let us share with you this image gallery to convince you to get married at Sandos Finisterra. Wedding Wire is an organization dedicated to qualifying, evaluating and above all, advising couples that are about to or plan to get married soon. If you are planning your wedding, make sure to read some reviews from real couples at their site. If you are ready to start planning your weddings at Sandos, let us know, and we’ll start planning together the happiest day of your lives!